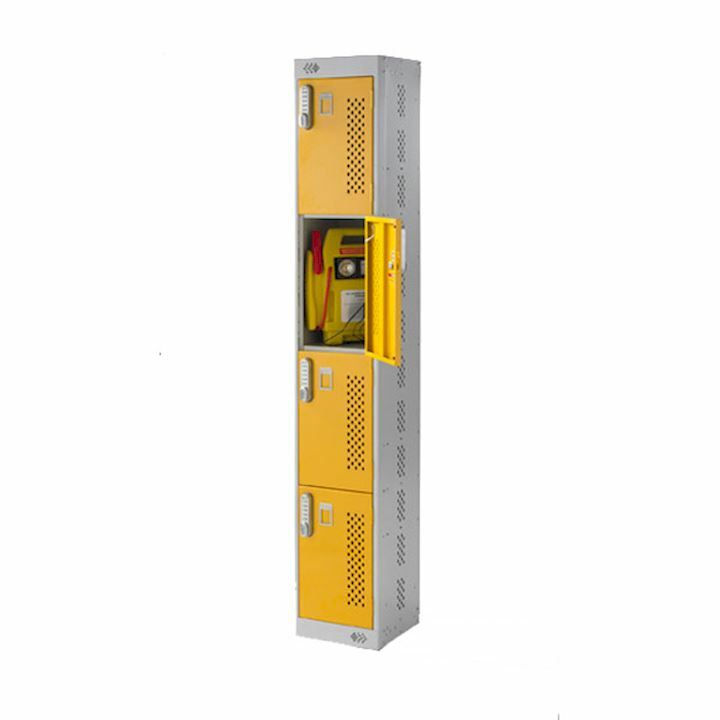 Our charging tool lockers are widely used in building and construction environments to keep valuable tools locked away safely whist also providing a power source. 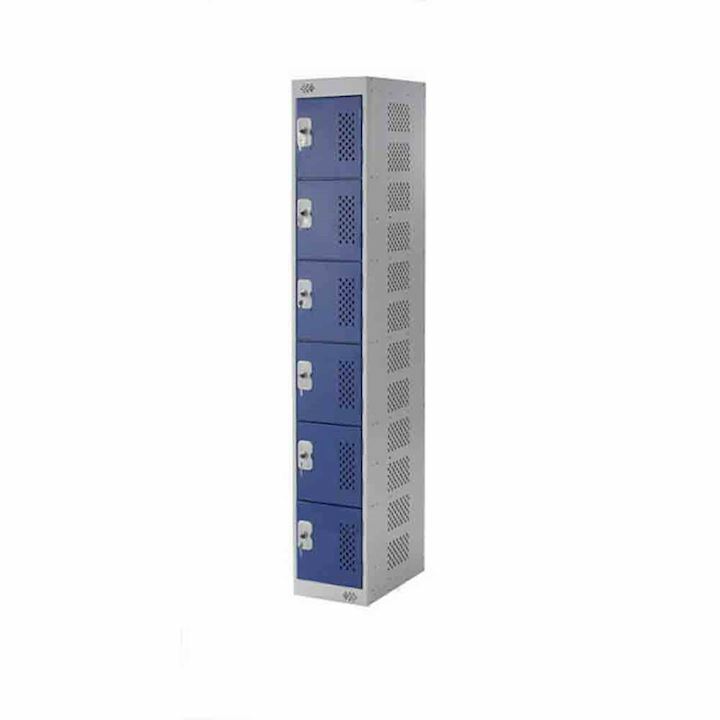 Available in four, six or eight door options, tool lockers have either a single or double socket in each locker compartment to plug tools in to charge. 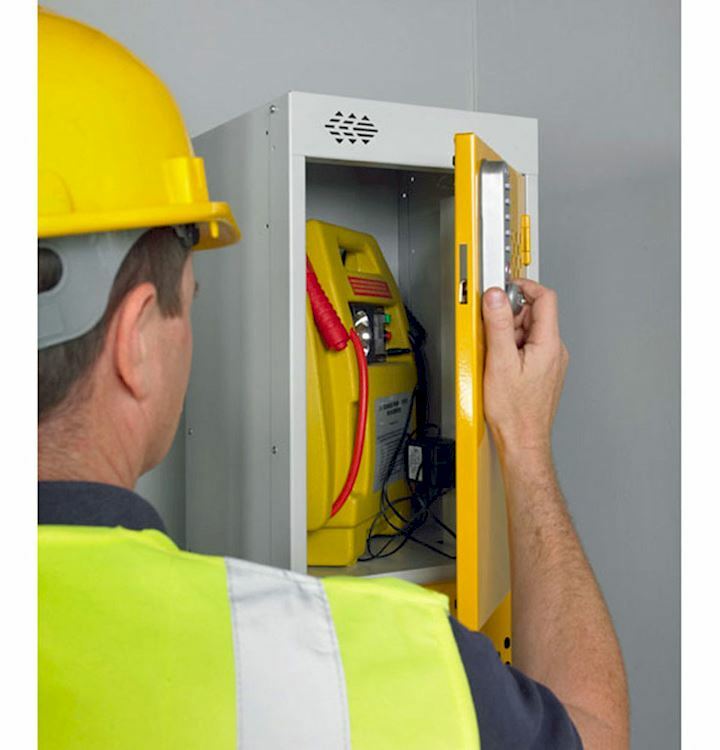 A selection of door colours and lock types are available such as camlocks which come with 2 keys per door and hasp & staple locks to use with a padlock.